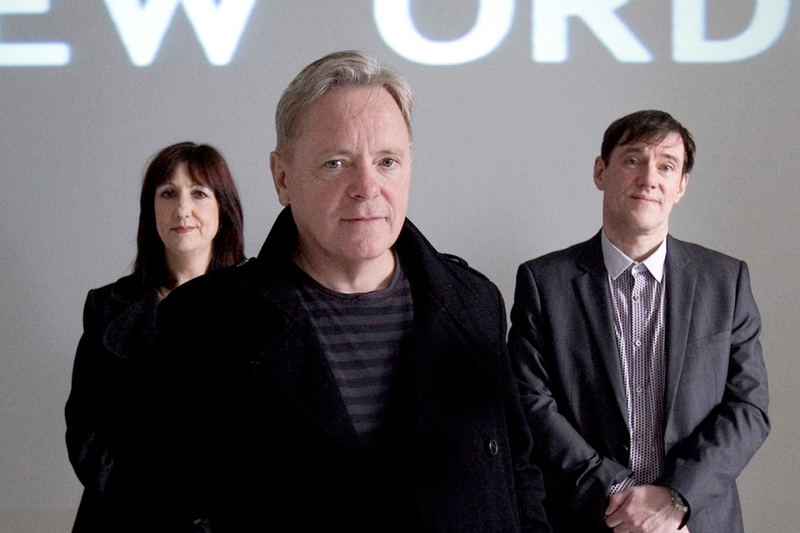 Seven days to go until it’s all about New Order here at Electronic Beats. On June 21, 2012 we’ll be proudly presenting not only the legendary Manchester band’s live show in Berlin — the only New Order club concert in Germany in 2012 —, but also the exhibition of New Order’s decade-spanning carreer. From June 21 until July 4, 2012, Electronic Beats presents ‘New Order — an exhibition‘ at .HBC in Berlin-Mitte. During this time we’ll have all Peter Saville designed NO record covers (around 50) as well as many photographies by Kevin Cummins on display — find our Q&A with them here. In .HBC’s cinema you’ll have the possibility to watch our exclusive Slices video interview as well as loads of music and live vidoes from 1981 to 2008 —the exhibition entry is free of charge, of course! We’re especially thrilled to announce that there will be an exclusive exhibition catalogue, which comes with a selection of New Order related imagery as well as an exclusive essay by author Paul Morley (The Guardian, Frankie Goes to Hollywood) and an in-depth interview by EB editor-in-chief Max Dax with the New Order founding members. This limited edition catalogue will be on sale at .HBC for 15€, definetly worth the money! Besides this we’ll have a limited run of ‘New Order — an exhibition‘ poster prints, signed by New Order, as well as a selection of New Order’s 2011/2012 official tour merchandise. And on top of that we’ll be offering a run of copies of the new Electronic Beats magazine print issue, which comes with a New Order cover story as well as the all-new accompanying covermount CD compilation — we strongly suggest to bring some money to .HBC. An important note for guests of the New Order concert at Tempodrom on June 21, 2012: if you check-in at the venue with your Foursquare-account, you’ll have the possibility to win an exclusive meeting with the full band right after the concert — to take a picture, have a chat, or a pint with Stephen Morris, Gillian Gilbert, Bernard Sumner, Phil Cunningham, and Tom Chapman. Electronic Beats presents »New Order – an exhibition« at .HBC Berlin, open to the public daily from June 21 until July 4, 2012, daily from 6 to 11pm (closed on Sundays and Mondays) — rsvp here. On June 21 New Order are playing their Electronic Beats-presented concert at Berlin’s Tempodrom, find all information here, buy tickets here, and rsvp here. Twitter hashtag is #ebno12.